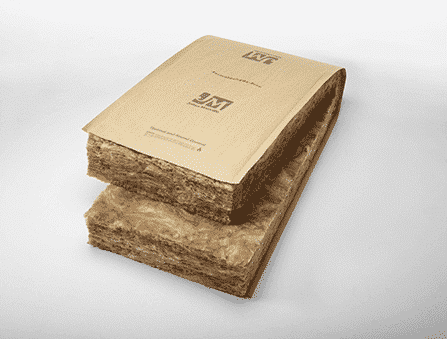 JM Formaldehyde-free™ thermal and acoustical insulation. It is made of long, resilient glass fibers bonded with our bio-based binder. A wide range of thermal resistance R-values is available to provide thermal control for both vertical and horizontal applications. JM insulation is available unfaced or with a variety of facings, including Kraft-Faced Batts & Rolls, or Unfaced Batts & Rolls. Ideal for moisture control in exterior walls, JM Kraft-faced thermal and acoustical insulation offers R-values ranging from R-11 to R-38. Our Kraft-faced insulation is available in pre-cut batts to fit standard wall cavities and rolls that can be cut to fit any size cavity in buildings. A few years back the Green Curmudgeon at Green Building Advisor, Carl Seville, suggested that batt insulation should be banned because the installations were consistently awful. Not a single installation was free of defects. The installation faults found include damaged insulation, folds, tucks, gaps or insulation overlap, and areas not insulated where they should have been. Insulation has been compressed, incorrectly fixed or supported, incorrectly fitted around top plates, downlights, auxiliary equipment, or extractor fans. Insulation has also been incorrectly fitted around electrical wiring and plumbing systems. 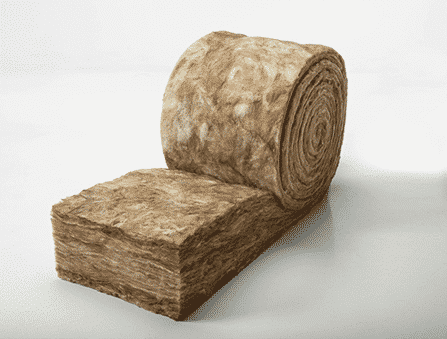 JM unfaced building insulation is made with a bio-based, formaldehyde-free binder for better indoor air quality. Our unfaced batt insulation provides R-values from R-11 to R-38 for effective heat control from the exterior while also effectively controlling unwanted noise in interior walls. If you install fiberglass batt insulation* with a Kraft Paper Vapor Retarder in a home, which way do you face the vapor retarder? To the inside of the home or the outside of the home? 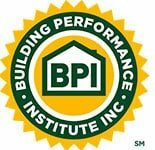 For many building science questions, the answer is, ‘It depends.’ For this one, the answer is clear. SPOILER ALERT: The answer is right below this photo so if you’d rather wait and find out when you see the movie in the theater, don’t read any further. The answer is that it doesn’t matter. Nope. You can install the paper facing however you want—as long as the building inspector lets you, of course. First, the kraft paper is a vapor retarder meant to reduce the potential for moisture problems caused by diffusion. Sounds like a good idea, but the vast majority of moisture problems are caused by air leakage, not diffusion. Do the air sealing; stop worrying so much about vapor retarders. Second, if you install it the wrong way, it’s unlikely that you’ll have a problem. I suggest you read Joseph Lstiburek’s paper, Mind the Gap, Eh! The graph below, from that paper, shows water vapor permanence as a function of relative humidity. As you can see, the permanence rises as the relative humidity rises and hits 10, the point at which we describe a material as vapor permeable, when the RH is 60%. The upshot here is that If you put the kraft paper on the wrong side and it gets wet, it won’t trap moisture. The wetter it gets, the better it dries. If you put it on the right side, where the humidity is, it’s not much of a vapor retarder. What about the advice to put it on the ‘warm-in-winter’ side? If that really mattered, do you think the US building code would have dropped the requirement to use paper-faced batts? The warm-in-winter suggestion says that if you’re trying to limit the diffusion of water vapor, put the vapor retarder on the humid side of the wall, where…uh…it’s not able to retard much vapor. In a really, really cold climate, it may matter, vapor retarder paint would be a better way to go. If you want to slow down the vapor diffusion, why not do it before it hits the drywall? So just relax. If your building inspector wants you to put the kraft paper on the ‘wrong’ side, take another look at the graph above and be comforted that it doesn’t really matter.